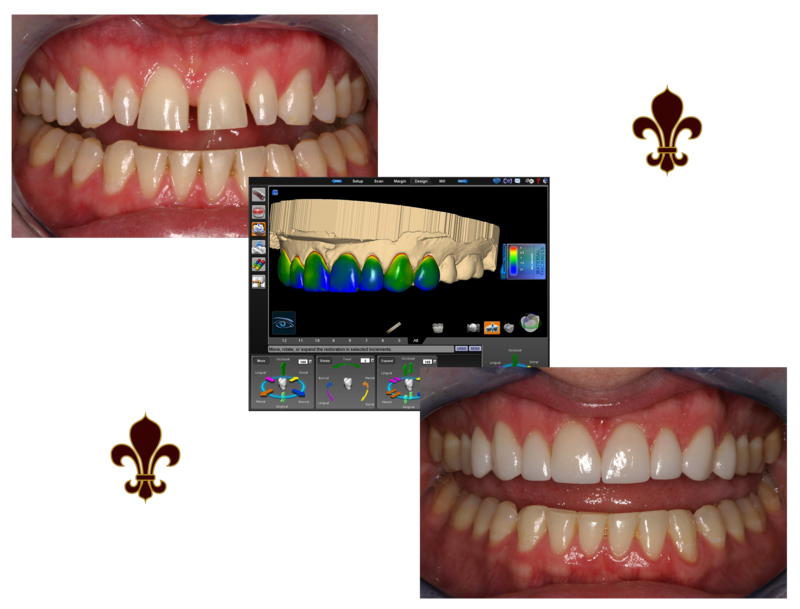 E4D by D4D Technologies is the world's only system for the fabrication of all ceramic dental restorations in one vist to our Danville dental office. With E4D at Dr. Pescatore's side, you can be in and out in a single visit to our Danville Cosmetic dental office with a permanent, all ceramic crown, onlay or veneer! 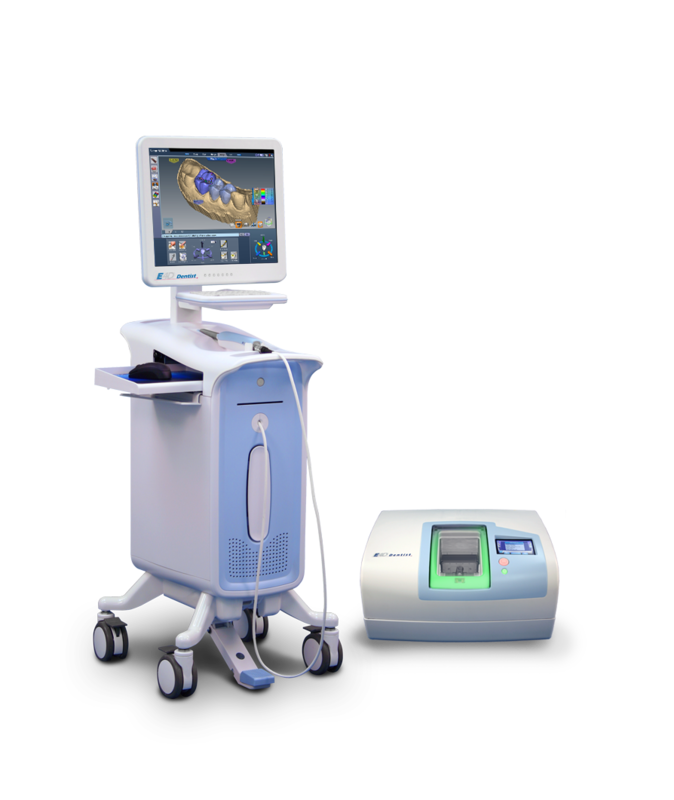 For you, the patient, this means fewer injections, less drilling and less time out of your hectic schedule for dental care. So, why are thousands of people world wide choosing the E4D restorative technique for their dental needs? Most dental restorative methods require more than one visit to the dentist. This means that on the first visit to our Danville cosmetic dental office, you get an injection of anesthesia, your tooth prepared, an impression taken, and a temporary restoration put on your tooth. You make a second appointment for a couple of weeks later, and get an injection, have the temporary pried off (if it hasn't fallen off already, and have a permanent restoration put on. Why go to the dentist a second time when you don't have to? 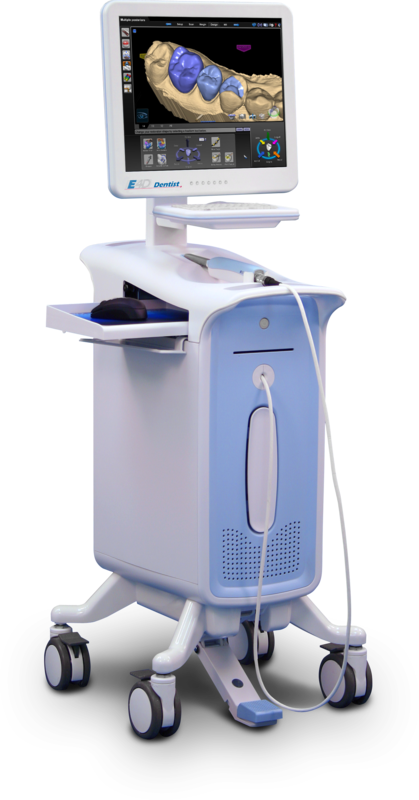 With E4D, the procedure is done in a single appointment, start to finish. A E4D tooth restoration isn't just convenient, it is also healthy. Many years ago, dentists had few options to repair decayed and damaged teeth other than amalgam, gold, and other metals. With E4D, Danville Cosmetic dentist Dr. Christopher Pescatore, can use strong, tooth colored ceramic materials to restore your teeth to their natural strength, beauty, and function. These materials closely match the composition of natural tooth structure. This means when you eat hot food and then drink something cold, the restoration and tooth expand and contract at almost equal rates. So, your tooth does not crack, and you can go on enjoying your evening. Also, the materials are chemically bonded to your tooth, so your dentist can save as much healthy tooth tissue as possible while providing you with a dental restoration that strengthens your tooth. 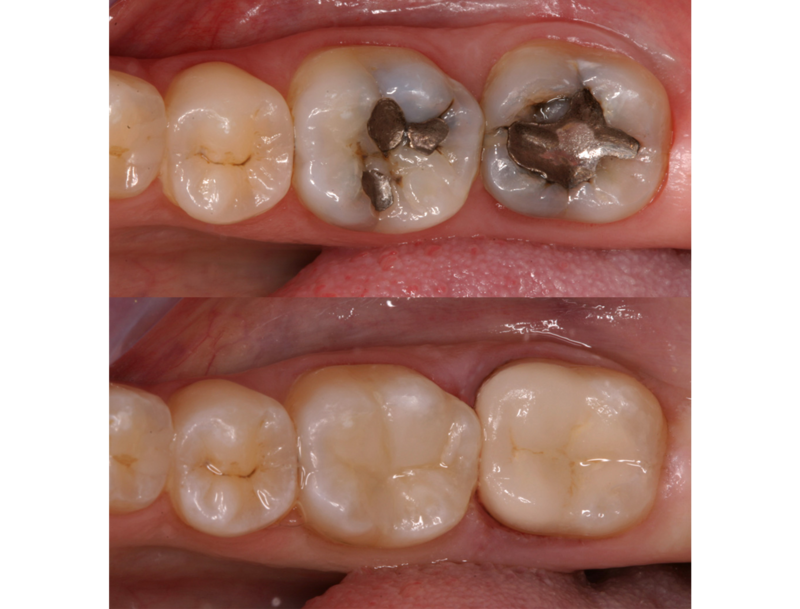 Dr. Pescatore can use E4D for more than just crowns and fillings. E4D is capable of producing any single tooth restoration. Chipped or discolored front teeth can be repaired with beautiful E4D porcelain anterior crowns or veneers. Your smile makes a lasting first impression. Enhance it with E4D. Using metal free materials that are the closest to your natural enamel, E4D gives you the highest quality restorative care. Ask Danville Cosmetic Dentist Dr. Christopher Pescatore about single visit E4D restorative care! 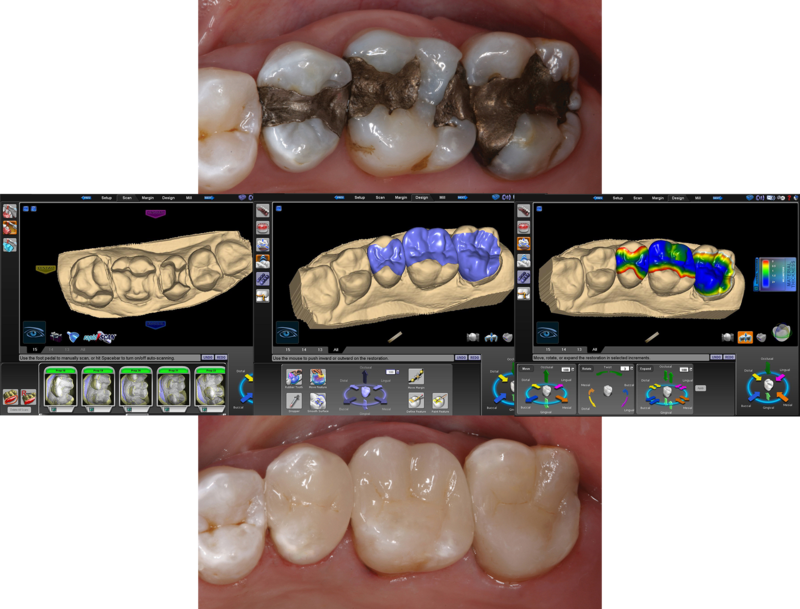 The image above shows a tooth-colored filling on the left tooth & a porcelain onlay on the left (last) tooth - all done in ONE visit!